CallTrackingMetrics works with advertising agencies, affiliate networks, and resellers around the world. We offer a number of tools to help these groups structure their call tracking programs to maximize the benefit for themselves and their customers. 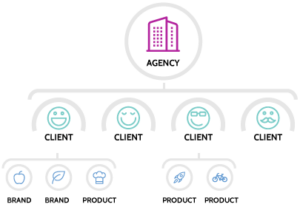 After white labeling their account with their own branding, agencies can have clients create sub-accounts beneath their agency umbrella and they can pick and choose the pricing, features, and reporting that each client sees. Tracking numbers, reporting, and pricing can be configured within each sub-account to track the traditional and online advertising campaigns for each customer. Agencies and customers see calls in real-time, in each sub-account’s call log. Call recordings can be reviewed, notes can be entered, and conversions can be entered right in the call log. This provides agencies with valuable insight into not just the volume of calls, but also how calls are being managed once they hit the customer’s call center. Agencies can set up custom notification reports to be emailed or text messaged after each call, or have summaries sent on a daily, weekly, or monthly basis. View reports showing calls by channel, status, agent, keyword, and more. Clients love this level of detail, and agencies can choose exactly what types of reporting they want clients to see. Each sub-account can be linked to a Google Analytics profile so that as calls come in, they will sync into the correct client’s Google Analytics account as events and into the correct Google AdWords account as conversions. Agencies can choose to bill their clients directly for usage in their sub account (through CTM or our integration with Stripe) or the agencies can pay for it and incorporate it into their own client billing. In addition to choosing the billing method, agencies can customize how much to charge their clients for usage of the CTM system. Markups can be applied to minutes, calls, text messages, and phone numbers so that virtually every aspect of our services can turn into a profit opportunity for the agency.